Instantly draws out pore-clogging dirt, oil and makeup + Controls oil and mattifies. Oily skin has specific cleansing needs. To look and feel its best, it needs the right clean and specific care. Our soft, breathable towelettes instantly removes pore-clogging dirt, oil and makeup. The formula infused with charocal draws out impurities like a magnet. AQUA/WATER, SODIUM LAURETH SULFATE, COCO-BETAINE, SODIUM CHLORIDE, GLYCERIN, CHARCOAL POWDER, CITRIC ACID, DISODIUM EDTA, MENTHOL, PANTHENOL, POLYGLYCERIN-10, POLYGLYCERYL-10 MYRISTATE, POLYGLYCERYL-10 STEARATE, POLYQUATERNIUM-7, PPG-5-CETETH-20, SALICYLIC ACID, SODIUM BENZOATE, SODIUM HYDROXIDE, TOCOPHERYL ACETATE, PARFUM/FRAGRANCE. 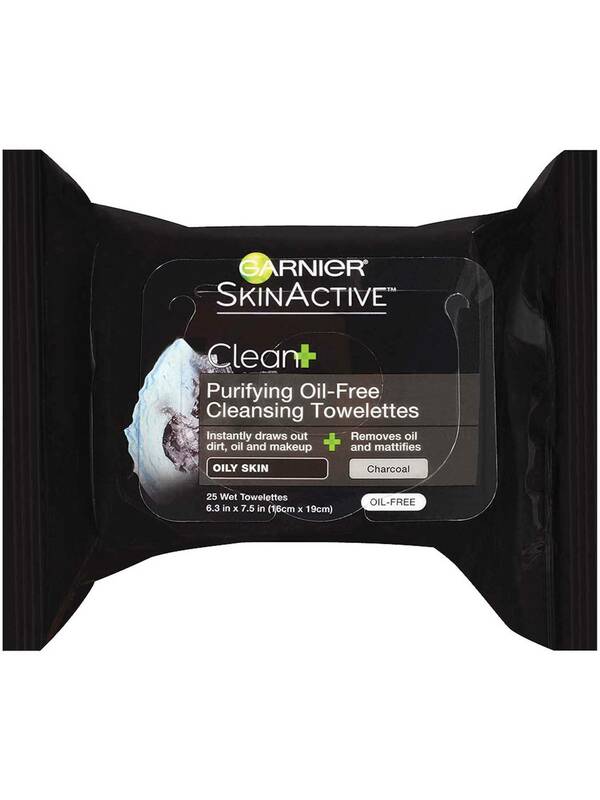 Rated 5 out of 5 by sp_091 from Nice product for oily skin I have a very oily skin. Whenever I apply any face wash the oil gets removed but appears back after 1-2 hours. This is really annoying. Once my friend told me to use this product and the results were very much surprising. Now I don't feel any oil on my face anymore. Rated 4 out of 5 by PRISCILLALea from Great Moisturizer I bought these wipes 3 weeks ago and was completely satisfied. They did not dry my skin out and naturally moisturized. Rated 5 out of 5 by Robbin12 from Best Affordable Wipes I have super oily skin, even in winter. I normally use baby wipes as makeup removers since I’m cheap, but bought these as I love charcoal and salicylic acid products. I love these wipes and will keep using them, I also love the texture of the towelettes, the plastic pop top, the packaging size. There is nothing I don’t love about these wipes. 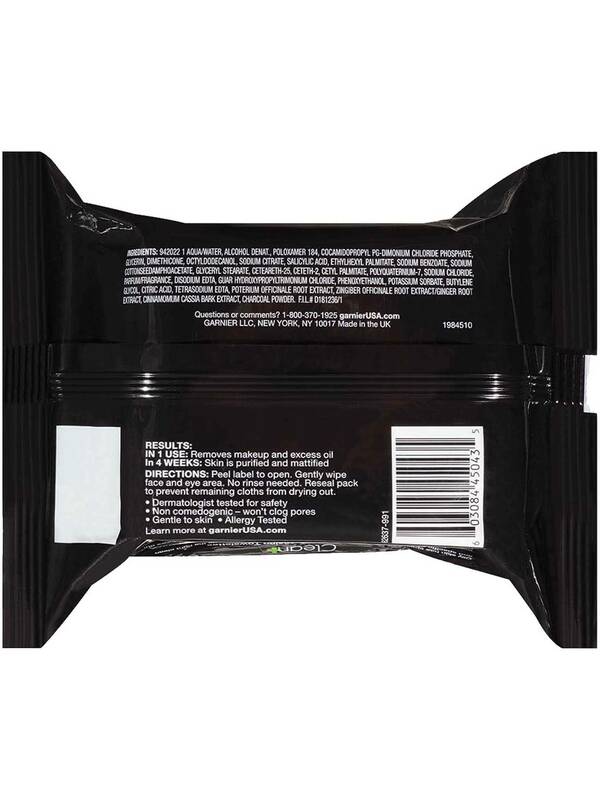 Rated 5 out of 5 by Michelle 40 from I love this product but I have bought 3 -4 of these at a time but have now found that they are discontinued in Canada. Will they be brought back? is it just repackaging? they are amazing product and I have not been able to find anything that comes remotely close. Other products burn my eyes or dry my skin. Please bring these back to me. Rated 3 out of 5 by Afrench0034 from Average Cleansing Wipe While I wouldn't say these wipes are anything special, they certainly aren't the worst. They cleaned my skin without drying it out, exactly what I would expect from a cleansing wipe. They didn't leave my skin particularly softer, but they worked for their intended purpose. I'd purchase these again if my regular choice of cleansing products were out of stock. Rated 5 out of 5 by rld033 from My new favorite makeup removing wipes! I use makeup wipes everyday that I wear makeup, which is almost everyday, and these are now one of my favorites. I work 12 hour shifts at a hospital, often 3 days in a row, and I'm normally too exhausted to wash my face thoroughly when I get home. That being said, I pretty much strictly use makeup wipes as a skincare routine on work days. I think these wipes make my face feel the cleanest it can get without actually washing it with a cleanser. A lot of other wipes I've used in the past leave a sticky film on my face and/or dry out before I've removed all of my makeup (and force me to use multiple wipes). However, these wipes make my face feel very clean and not sticky at all. They also don't dry out fast and completely remove all of my makeup with one wipe (I use longwearing eyebrow gel that is sometimes very hard to get off, but these wipes get it off pretty easily). All in all, I love these wipes and plan on buying more! Rated 2 out of 5 by emlovescoupons from Eh, not the best but not the worst... I've been using this product for several weeks now & I'm still not sure if I like it. Don't get me wrong, there are several good things about these towelettes but there are some not so good things too. I'll start with something good-- they remove regular make up effortlessly! I barely had to wipe & it took it off so easily so no need to scrub! The package says that it removes eye makeup too--- I tried it with regular mascara & it was okay... I had to rub a little harder than I like but it removed it eventually. Using waterproof mascara it did nothing. I scrubbed hard & it barely took anything off. I used an entire towelette on my eyes & still had to use my own eye makeup remover afterwards to actually remove it. The smell is very interesting... it's like a mix of your normal acne medicated wash smell with a splash of citrus. It something you have to get used to everytime you open the package. I love the convenience of towelettes in a small package! I'd never used any before & it was so nice to just have to open this up & grab one instead of my normal routine of makeup removers & kleenex. Another issue I did have with them is that only half the towelette was moist. The top half seemed to be dry while all the moisture was in the bottom half that was laying against the others in the package. I made sure the seal was closed everytime. It's hard to clean your face with a dry towel, kinda doesn't work. Another thing that kinda disappointed me was the charcoal. I was expecting to see some black or darkness so I could see its actually there. Even after using it for several weeks I still have acne. My face isn't better or worse since using them, I'm still oily. All in all I say it's a decent facial make up remover but I don't see any other benefits that it claims. 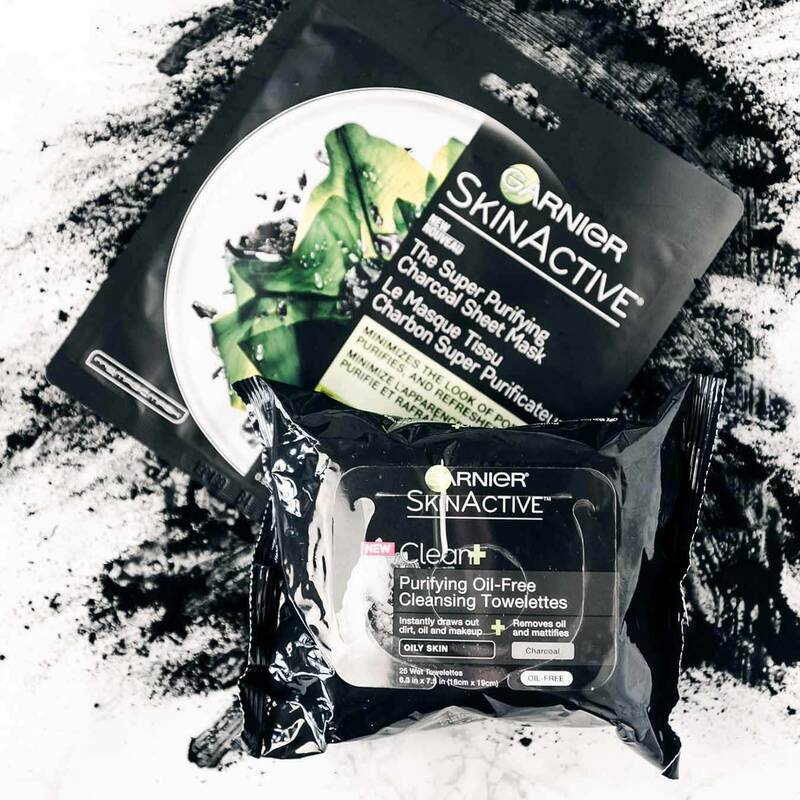 Rated 2 out of 5 by princesspinkbunni from Super clean....but not in a good way I was really excited to try this product because I'm a big charcoal cleansing product fan. I love how it draws out the dirt & gets the makeup off your face. Some towlettes have troubles removing mascara or require a 2nd towelette to get totally clean. But Garnier's got me super clean! But it also removed all my face's oil so I was left with a tight, dehydrated skin. I do have oily skin so I was glad to get an oil-free product. But as I was wipping my face, I felt moisture getting sucked from my face & my face getting tighther. I had to apply facial moisturizer right away. I thought some oil is good for your face? And final point, when products do the moisture & oil take away thing, I end up having acne soon afterward.